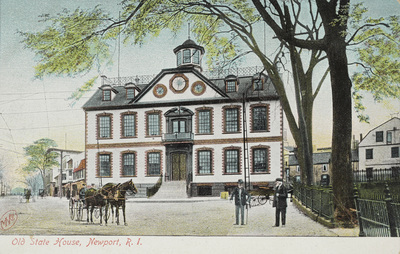 "Old State House, Newport, R. I." by Metropolitan News Co., Boston, Mass. Old State House, Newport, R. I. Metropolitan News Co., Boston, Mass., "Old State House, Newport, R. I." (1907). Rhode Island Postcards. 358.